Open Mozilla Thunderbird. 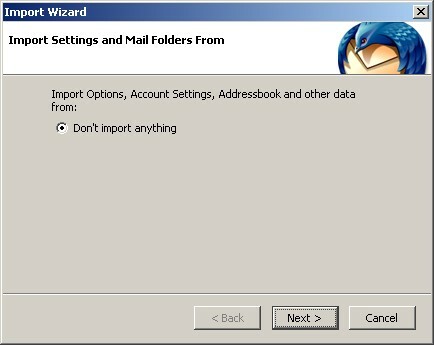 If this is the first time you have opened Thunderbird, the 'Import Settings and Mail Folders From' dialog box will pop up. Make sure it has a dot in 'Don't import anything' and click 'Next'. 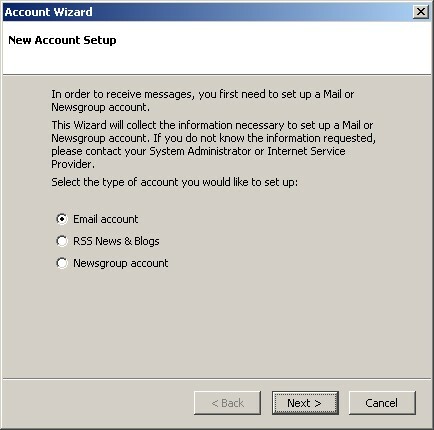 This will bring you to the 'New Account Setup' wizard. Make sure the dot is on 'Email account' and click 'Next'. Make sure you have 'POP' selected for the type of the incoming server. This is a reference name for your email account only inside of Thunderbird. After reviewing the settings on this screen, click 'Finish' and it will open up Mozilla Thunderbird fully and show you your 'Inbox', automatically doing a Send/Receive for email. Click on the 'Tools' menu > 'Account Settings' > 'Outgoing Server (SMTP)' sub-category on the left. Change the 'Port' from 25 to 1025.